Source Locally: Buy direct from the farm, a farmers’ market or farm shop to guarantee a short supply chains and cutting out the middle-men to help keep the costs down. Plus you know exactly where your meat is coming from. Cutting out the middleman also helps small farmers. A whole-animal butcher shop is also a good bet, a place that buys whole pasture-raised animals from local farms, and has butchers who advise you about the cuts of meat and how to cook them. Look for shops like the butcher shop Sarasota for top quality meat and delicious marinades. Organic: The top of environmental and animal welfare standards. Organic standards in the UK are defined by law and farmers and processors must be certified by an approved organisation – the Soil Association is the most well known. Organic farms don’t use chemical fertilisers or pesticides and the routine use of antibiotics is not permitted. Organic farms also provide high levels of animal welfare where the animals can go outside for part, or all, of their lives. In the US, the USDA Organic logo means that the meat you’re looking at was fed organic feed and at least had access to the outdoors. Free-range: Chickens and pigs that can go outside for at least part of their lives. A varied environment allows them to be more active and exhibit more of their natural behaviours compared to intensively produced chicken and pigs. Free-range chickens typically contain less fat than intensively reared ones, and so is tastier. In the US, Free-range doesn’t necessarily mean that the chicken was raised in a pasture, only that it had access to one. Cage-Free: Cage-free doesn’t actually mean much. Most meat chickens (as opposed to egg producing chickens) don’t really live in cages but in big factory farming operations where they are cooped up in windowless warehouses. They still don’t have access to the outside. Pasture/grass-fed: The traditional practice of grazing cattle and sheep on pasture (fields) as opposed to the more intensive practice of fattening them on grains indoors or in CAFOs (concentrated animal feed operations – largely found in the US but also in the UK). 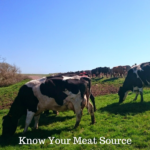 Pasture-reared beef has been found to contain less fat and has a higher proportion of healthy omega-3 fatty acids compared with intensively reared beef. Outdoor bred/reared: Refers mainly to pigs born in farms with outdoor space, then brought indoors for fattening after weaning (outdoor bred) or ones who spend approximately half their life outdoors (outdoor reared). Freedom Foods: In the UK this is the RSPCA’s higher animal welfare standards and labelling scheme that includes beef, chicken, pork and turkey. Freedom Foods allows free-range, organic, indoor and outdoor farms to join its scheme as long as the RSPCA’s welfare standards can be met. Air-Chilled: The process of air-chilling a chicken means that after it is slaughtered etc it is cooled by passing the bird through several chambers where cold, purified air is used to cool the meat and not by being submerged in cold water. The water-chilling process causes the chicken to take on added water weight, which affects and dilutes the flavour of the meat. Kosher or Halal: Regardless of your religious beliefs, you’ve possibly eaten kosher or halal meat or chicken. Kosher and halal animals and birds are raised, slaughtered, butchered, packaged, and prepared in accordance to Jewish and Islamic (respectively) culinary laws. If you aren’t at a specifically kosher or halal butcher shop, the distinction will be clearly shown on the packaging. 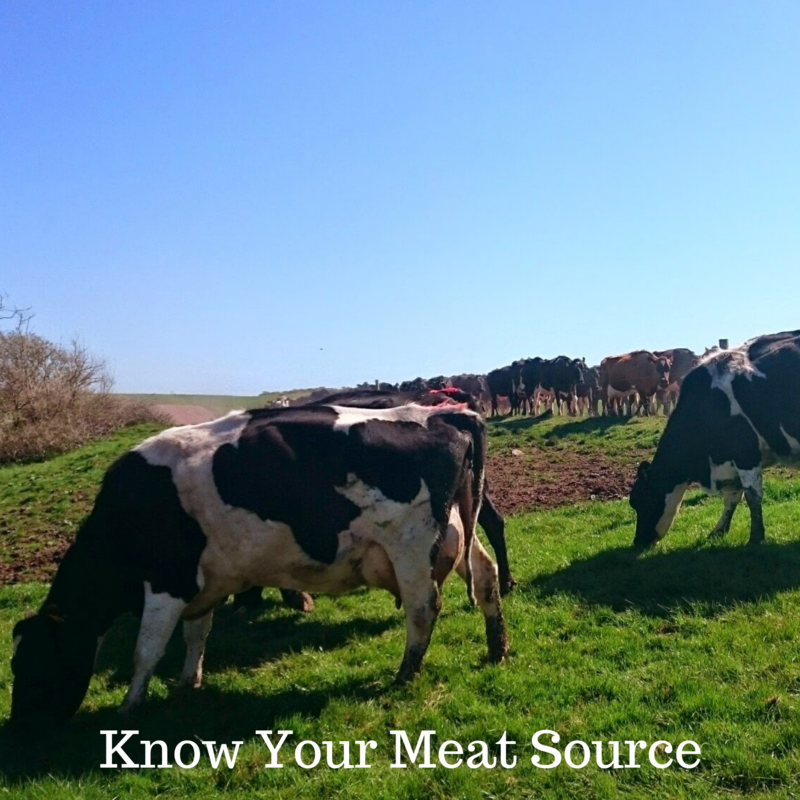 To know you meat source is a bit of a minefield isn’t it? I hope my research has helped you, if you are a meat eater to be more aware of where your meat comes from. I always but from my local butcher as he knows where all his meat is sourced.